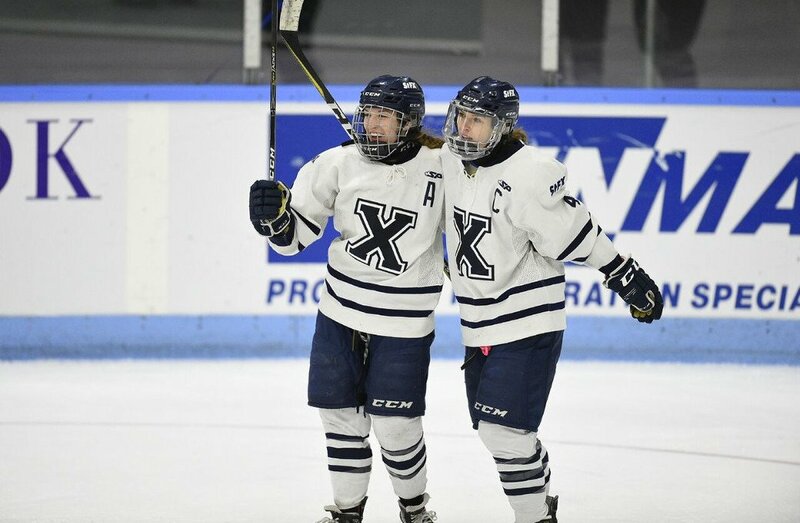 A hat trick from Daley Oddy lifted the StFX X-Women to a 4-3 overtime win over the Queen’s Gaels in the consolation semifinals on Saturday afternoon at the U SPORTS Women’s Hockey Championship. Oddy completed her hat trick in spectacular fashion, scoring the winner at 2:37 of overtime to send her team to the consolation final. Santana Gravelle provided the other goal for the X-Women. Queen’s had three different players mark their names on the scoresheet, with Clare McKellar, Katarina Manoukarakis, and Addi Halladay scoring one goal apiece. Carly Molnar got the win in net for StFX with an 18-save performance, while Stephanie Pascal put forth an incredible 43-save effort for the Gaels in the loss. The tone of the game was set right from the opening whistle with both teams playing a fast, physical style to start things off. StFX generated the majority of the scoring chances in the frame, including outshooting Queen’s 12-4, breaking onto the scoreboard in the 12th minute. 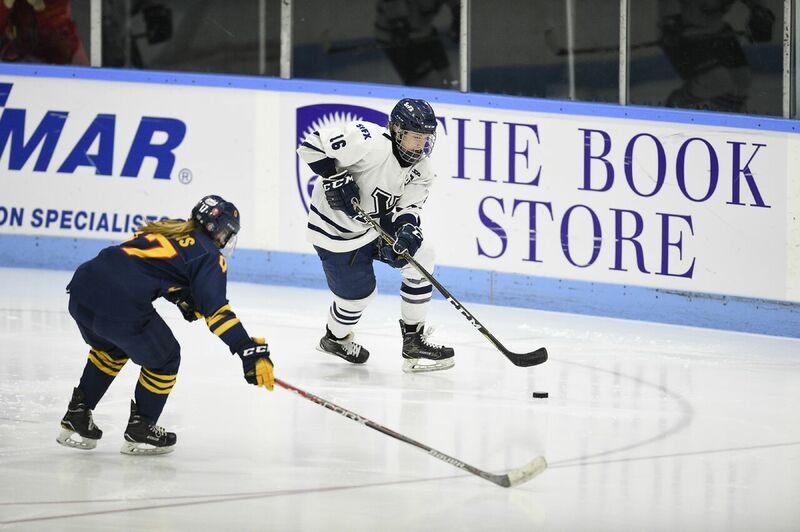 Sarah Bujold picked up the puck in the defensive zone and sent a pass high above the ice that landed at the feet of Oddy just in front of the Queen’s blue line. The reigning U SPORTS player of the year took the puck in alone and fired on Pascal who made the initial save but Oddy picked up her own rebound and sent it into the back of the net to put the X-Women up 1-0. The Gaels responded early in the second period as Jessica Wakefield broke in on net and fired off a shot on Molnar before McKellar grabbed the rebound and sent it into the open cage to tie the game at 1-1 with just over a minute into the frame. That lead wouldn’t last for long, however, as just two minutes after that the X-Women answered back. StFX won the draw and Gravelle made no mistake after that, sending a shot from the point into the top corner to retake the lead. However, just as the X-Women stormed back with a quick goal, this time it was the Gaels turn, capitalizing on a power play opportunity less than 90 seconds later. Wilson sent a bouncing shot towards the net where Manoukarakis got a stick on it and tipped it past Molnar to make it a 2-2 game. StFX controlled the play in the opening moments of the third, outshooting the Gaels 11-0 over the first five minutes, however Pascal kept the scoreboard even at 2-2. 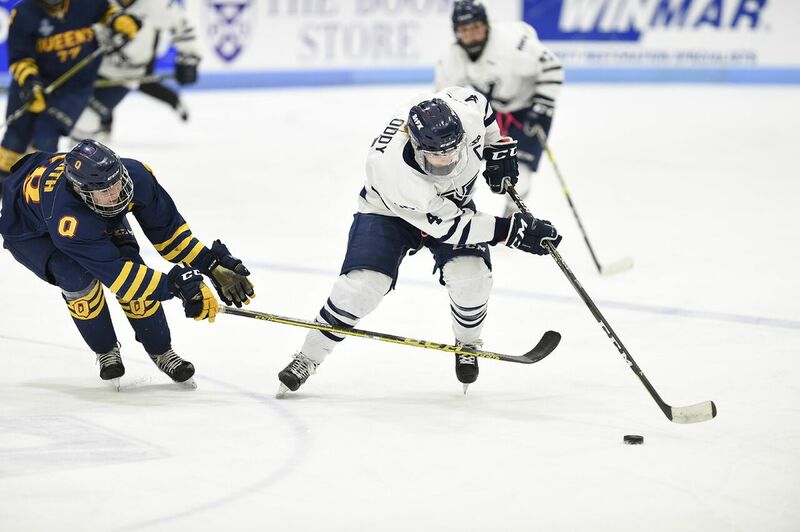 Just as they did on their second goal, StFX scored their third marker directly off a faceoff, with Oddy picking up the puck and sending it past Pascal to take the lead with a little more than seven minutes remaining. Fittingly enough, given the pace of the game, the Gaels responded in short order, as Halladay tied the game at 3-3 just over three minutes later to set the stage for an exciting finish. It wouldn’t take long to decide a winner, with Oddy scoring at 2:37 of the extra frame to secure a 4-3 win for the X-Women. “Santana got on the point with a slapshot. 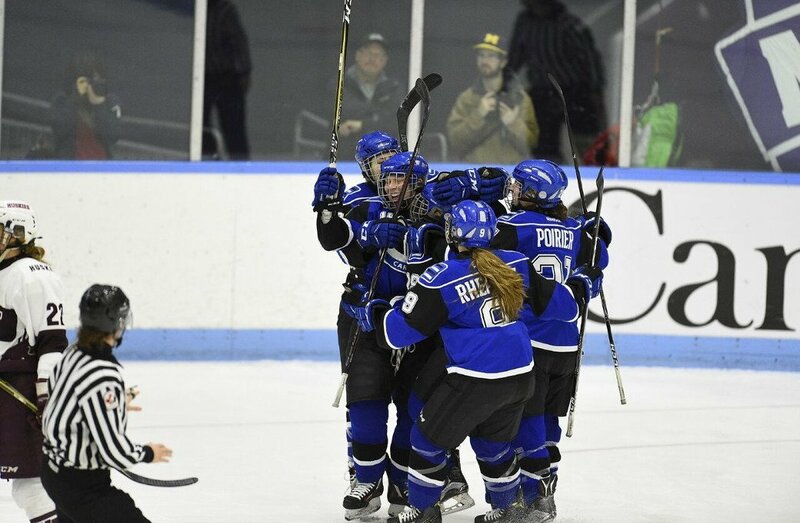 It deflected off my stick and I kind of lost it for a second, then I turned around and it was laying in front, so I just shot it in the open net and that was it,” said Oddy, describing her winning goal. 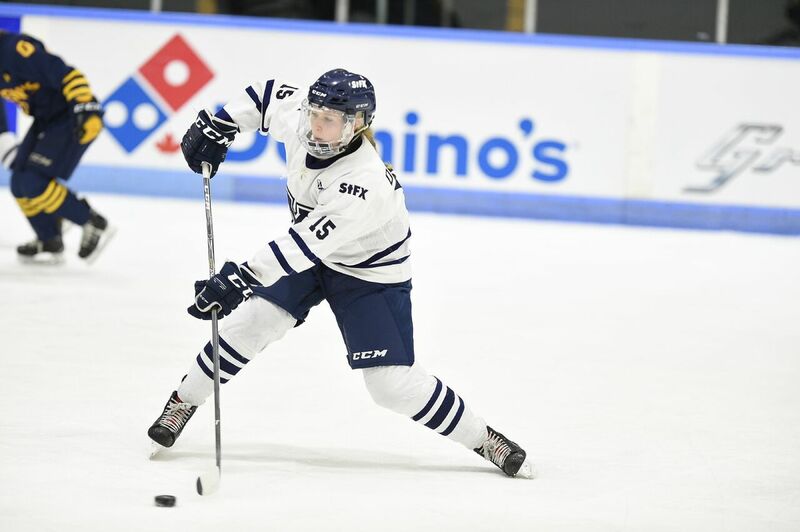 That goal not only gives StFX a chance to play for fifth place, but also gives Oddy and other veteran players one more game to finish off their university hockey careers. StFX will play in the consolation final tomorrow against Montreal, with puck drop set for Sunday at 10 a.m. ET / 7 a.m. PT at Thompson Arena.